Unlike L-arginine, L-glutamine and L-tryptophan, L-ornithine is not a very well known amino acid. However, I think that’s about to change. Several recent studies suggest that this non-essential amino acid may be a very economical, safe and useful tool in supporting day- and nighttime mental health. Daytime Use: A study in the December 2014 edition of Preventive Nutrition and Food Science revealed that combining 100 mg caffeine and 200 mg ornithine promoted “higher mood ratings 8 h(ours) after consumption” in comparison to caffeine only. Previous studies in mice have found that L-ornithine supplementation reduces anxiety caused by stressful events. Additionally, significantly higher dosages (2,000 mg/day and up) are known to reduce exercise-related fatigue in humans. All told, L-ornithine would seem to make a logical, synergistic partner to combine with your morning cup of coffee. By the way, most home brewed and store bought coffee contains at least 100 mg caffeine per serving. Therefore, I’m experimenting with taking one 500 mg capsule of L-ornithine with my morning brew. Nighttime Use: In June 2014, a hidden gem of a study described the potential of L-ornithine to enhance sleep quality. In the 8 week trial, 52 adults were given either 400 mg L-ornithine or a placebo before bed. The participants who received the active ingredient (ornithine) experienced an improvement in sleep quality and a reduction in anger. Blood tests uncovered a reduction in the active group’s cortisol/DHEA-S ratio – indicative of improved mental health and stress response. Interestingly, other research has discovered that 400 mg/day L-ornithine benefits sleep even under extreme conditions such as an expedition to Antarctica! Personally, I’ve been trying out 500 mg of ornithine just before bedtime. Excess alcohol use is relatively common in those with anxiety and/or disordered sleep. For them, L-ornithine may be useful in yet another way. A 2013 study appearing in the journal BioPsychoSocial Medicine reports that taking 400 mg L-ornithine a half hour after drinking alcohol minimizes cortisol, a stress hormone, and a variety of negative feelings the following morning. Here again, I would stick as close as possible to the dosage used in the trial. 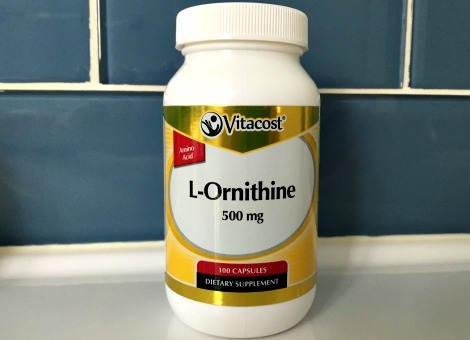 On those (hopefully) rare occasions when you imbibe too much, consider trying a 500 mg L-ornithine capsule to lessen the subsequent damage. Some of you may be wondering why I’m using and recommending 500 mg L-ornithine per serving instead of 400 mg. Simply put, it’s a lot easier to find the 500 mg dose on- and offline. Also, I haven’t seen any evidence of toxicity at this amount or at any reasonable dosage. Effect of long-term treatment of L-ornithine on visual function and retinal histology in the rats. L-Ornithine is a non-proteinogenic amino acid, abundant in freshwater clams and commercially available as an oral nutritional supplement. L-Ornithine is metabolized by ornithine-δ-aminotransferase. Deficiency of this enzyme causes gyrate atrophy of the choroid and retina, an autosomal recessive hereditary disease characterized by the triad of progressive chorioretinal degeneration, early cataract formation, and type II muscle fiber atrophy, with hyperornithinemia. However, it is unknown whether long-term L-ornithine supplementation affects visual function and retinal histology. The aim of the present study is to determine the effect of long-term supplementation of excess amounts of L-ornithine on visual function and retinal histology in rats. Male Brown Norway rats at six weeks of age were allowed free access to chow containing 4% (w/w) L-ornithine (the high ornithine diet) or that containing 4% (w/w) casein (the control diet) for 49 weeks. The dose of L-ornithine calculated from the food intake was approximately 0.8 g/d/animal, which was 100 times higher than the recommended dose for healthy humans. The amplitude of the a-wave of the scotopic rod-cone electroretinogram and the number of cells in the ganglion cell layer in the L-ornithine-treated group were larger than those in the control group 49 weeks after initiating the test diet. No functional or histological damage to the retina was seen up to 49 weeks after the start of the high-ornithine diet. The present study demonstrated that long-term supplementation of very high doses of L-ornithine for at least 49 weeks did not induce retinal damage. Sci Rep. 2016 Oct 5;6:34665. The peripheral circadian clock is entrained by factors in the external environment such as scheduled feeding, exercise, and mental and physical stresses. In addition, recent studies in mice demonstrated that some food components have the potential to control the peripheral circadian clock during scheduled feeding, although information about these components remains limited. l-Ornithine is a type of non-protein amino acid that is present in foods and has been reported to have various physiological functions. In human trials, for example, l-ornithine intake improved a subjective index of sleep quality. Here we demonstrate, using an in vivo monitoring system, that repeated oral administration of l-ornithine at an early inactive period in mice induced a phase advance in the rhythm of PER2 expression. By contrast, l-ornithine administration to mouse embryonic fibroblasts did not affect the expression of PER2, indicating that l-ornithine indirectly alters the phase of PER2. l-Ornithine also increased plasma levels of insulin, glucose and glucagon-like peptide-1 alongside mPer2 expression, suggesting that it exerts its effects probably via insulin secretion. Collectively, these findings demonstrate that l-ornithine affects peripheral clock gene expression and may expand the possibilities of L-ornithine as a health food. Chronobiol Int. 2018 Jul 3:1-11. A randomized, double-blind and placebo-controlled crossover trial on the effect of l-ornithine ingestion on the human circadian clock. In mammals, daily physiological events are regulated by the circadian rhythm, which comprises two types of internal clocks: the central clock and peripheral clocks. Circadian rhythm plays an important role in maintaining physiological functions including the sleep-wake cycle, body temperature, metabolism and organ functions. Circadian rhythm disorder, which is caused, for example, by an irregular lifestyle or long-haul travel, increases the risk of developing disease; therefore, it is important to properly maintain the rhythm of the circadian clock. Food and the circadian clock system are known to be closely linked. Studies on rodents suggest that ingesting specific food ingredients, such as the flavonoid nobiletin, fish oil, the polyphenol resveratrol and the amino acid L-ornithine affects the circadian clock. However, there are few reports on the foods that affect these circadian clocks in humans. 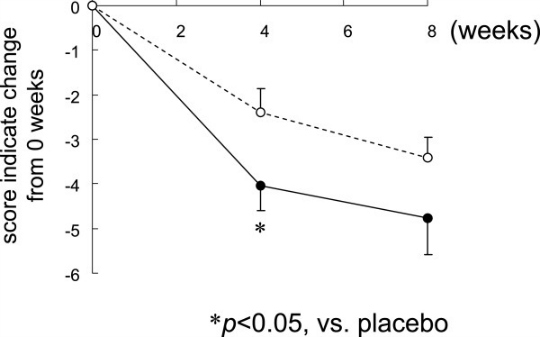 In this study, therefore, we examined whether L-ornithine affects the human central clock in a crossover design placebo-controlled human trial. In total, 28 healthy adults (i.e. ≥20 years) were randomly divided into two groups and completed the study protocol. In the 1st intake period, participants were asked to take either L-ornithine (400 mg) capsules or placebo capsules for 7 days. After 7 days’ interval, they then took the alternative test capsules for 7 days in the 2nd intake period. On the final day of each intake period, saliva was sampled at various time points in the dim light condition, and the concentration of melatonin was quantified to evaluate the phase of the central clock. The results revealed that dim light melatonin onset, a recognized marker of central circadian phase, was delayed by 15 min after ingestion of L-ornithine. Not only is this finding an indication that L-ornithine affects the human central clock, but it also demonstrates that the human central clock can be regulated by food ingredients.